Hardwood Floor Refinishing in Berkley That Works! 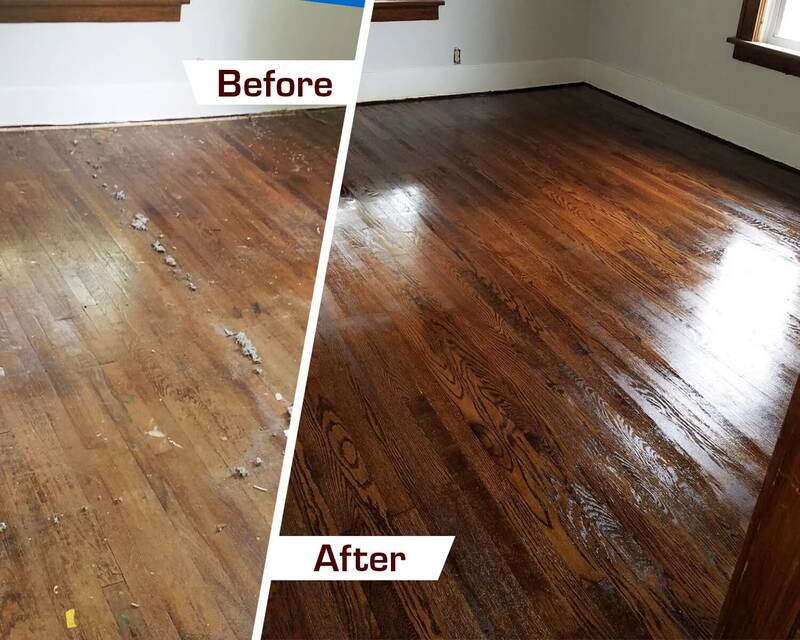 Do the hardwood floors in your Bloomfield Hills home look like they need some attention? Instead of replacing them completely, choose the smart and less expensive option is refinishing them! Fabulous Floors Michigan has been offering premier hardwood floor refinishing in Bloomfield Hills, MI for many years now and would love the chance to transform the floors in your house. Our main goal is to deliver great results for our customers that they will love! We take pride in our work and only hire skilled technicians that are properly trained and knowledgeable in hardwood refinishing services. They will walk you through our process and answer any questions you might have. We promise to always go above and beyond. If you want to see what some of the people in Bloomfield Hills and the surrounding areas are saying about our work, visit our testimonials page. We let our work speak for itself. Our representatives are standing by and are ready to talk to you. Contact us with any questions you may have or to get a free price quote today! We have refined the way we refinish hardwood floors over our many years in the industry. Our experience has inspired us to come up with a simple, yet extremely effective refinishing process. From start to finish, this entire process only takes us about 1-2 days to complete. STEP 1. Remove Carpet – If the carpet is present, we use a putty knife to scrape away any remaining parts of the pad or carpet. We make sure to carefully remove carpet staples with needle nose pliers and prepare the floor for the refinishing process. STEP 2. Sanding – We utilize our sanding machine to make sure the entire surface is smooth. This helps to eliminate any nicks, scratches, or dents that may have been present on your hardwood floors. One of the best parts of our sanding process is that it is virtually dust-free so you won’t need to vacate your home while we are there. We’ll even sand those hard to reach areas too. STEP 3. Staining – Once the sanding is complete, your hardwood floors are ready for our beautiful stain. We have several color options for you to choose from. We want to give you the power of customization when it comes to the color of your hardwood floors. Whether you’re thinking about adding a new color to your home or are trying to match your current decor, we have just what you need. STEP 4. Finishing – The last step is applying our high quality, long lasting polyurethane finish to your hardwood floors to complete the floor refinishing process. We do this in order to lock in the stain and to add a pleasing gleam to your hardwood floors. The coat of polyurethane also protects your floors against the regular traffic and daily demands that are expected of them. We live in Bloomfield Hills too! Therefore, we want to keep this area beautiful. We have gone to great lengths to ensure that all our materials and services will not harm the environment. Fabulous Floors Michigan has been given the GREENGUARD Certification. This means that our products and services have met strict environmental standards. We want to give you the peace of mind knowing that when we come to your home, your family and pets will be safe, as well as the environment. Bring back the beauty of your hardwood floors today!